Lost: 25 Feb, 1944 (Lt. Cdr. E.A.F. Drought, RN., DSC) (71-12'N, 13-30'E.) 1 torpedo Gnat from U-990. (Nordheimer). Only 16 men survived out of a crew of 236. 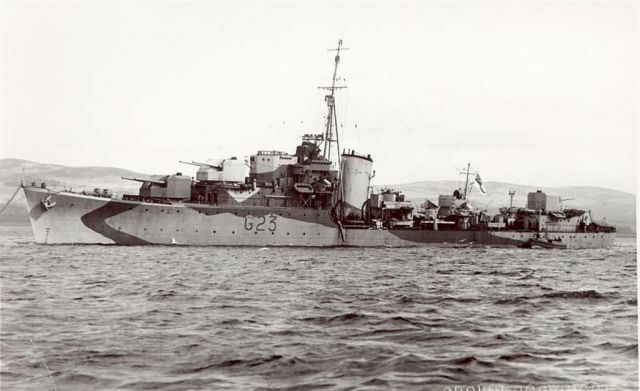 History: HMS Mahratta was escorting convoy JW-57 when she was struck and sank within minutes.